In this month’s cover story, AP details the duo’s individual musical histories, their philosophy on music and the deeper perils of walking away from their high-profile, lucrative positions. “The reality is that those past jobs are going to follow us around for a while, possibly forever,” Weekes says. “Who knows? It’s important for us to treat that reality with some respect but also at an arm’s length. I’m not saying that’s a bad thing: I’m just saying that’s a reality, and it’s one we acknowledge and respect but at the same time, not one we want to exploit. 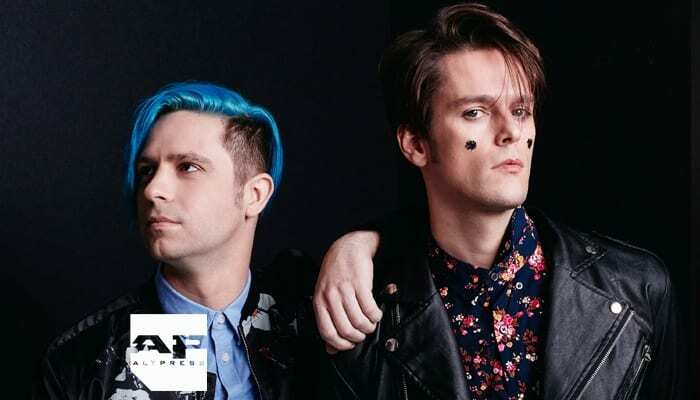 With Weekes’ songwriting flair referencing everything from ’70-era glam to skinny-tie new wave to slightly askew Broadway offerings—all powered by Seaman’s rhythmic dexterity—iDKHOW are poised to assist in the creation of a genuinely new alt-rock consciousness, one that can be embraced within, even beyond the clubhouses of Warped Tour punks and Pitchfork hipsters. To read the full story, pick up your copy of 366 here. …and ONE OK ROCK, the pop-punk quartet who have no problem filling stadiums in their homeland of Japan, but are willing to take over America from their square-one status. Plus even more bands and artists we think will make an impression this year! Previous articleAre P!ATD and ‘Hamilton’ star Lin-Manuel Miranda planning a collab?